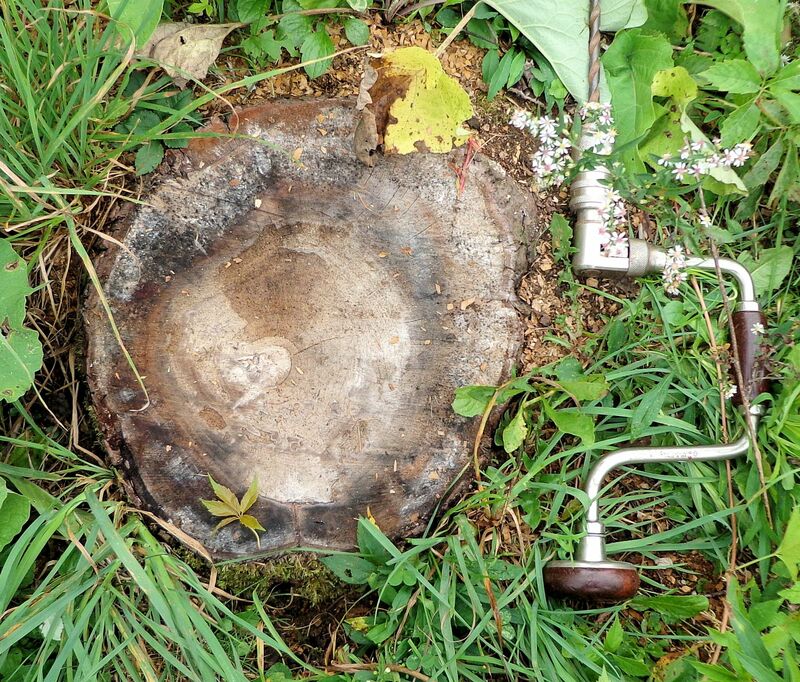 Last September 13, I posted about an experiment I decided to conduct on a method for naturally removing tree stumps. 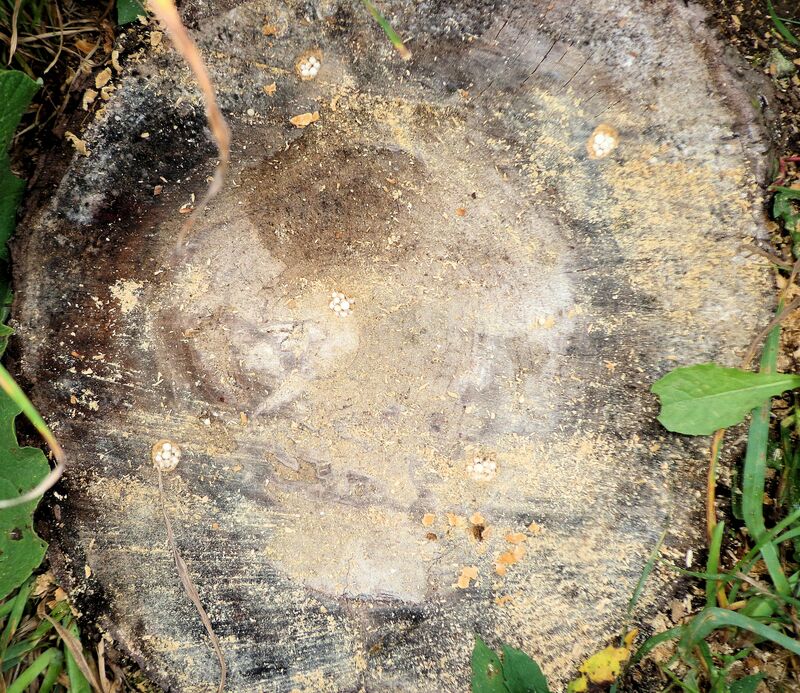 The subject stump is of a sweet cherry tree that had recently been cut. There were several of the same species in the area so I used one as the experiment and one as a control. 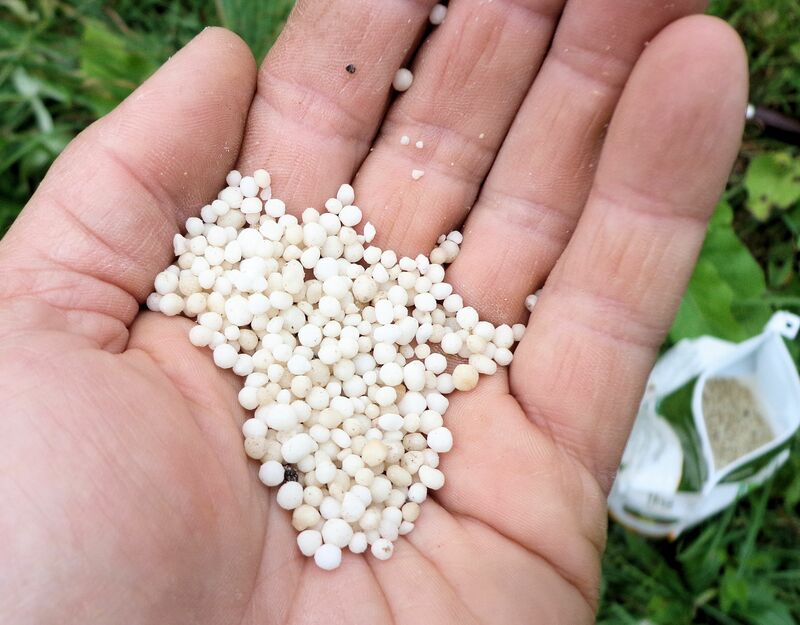 The experimental process involved drilling several holes in the subject stump and filling them with 45-0-0, or full nitrogen, fertilizer. The stump was then watered and covered with a plastic grain sack. The covering was held down with rocks, but not made air tight. The control stump was just left open to the air and not touched in any way. This past year had warmer than normal temperatures throughout the seasons with two months of extreme drought in July and August. No new growth sprouted from either stump, so I believe both are dead. First we will look at the control stump to gauge any changes. This stump has darkened in color and the oozing tree sap is gone. Otherwise, the control stump looks pretty much as it did last fall. The wood is still hard and solid. It is not possible for me to push a screwdriver down into the wood. Peeling back the old plastic grain bag reveals that the experimental stump has undergone some changes. While the wood is not soaked, it is uniformly damp. The surface has a powdery coating that seems to be made up of dirt-like material. Fungus is thriving on the surface, including an orange fruiting body of a mushroom-like fungus. 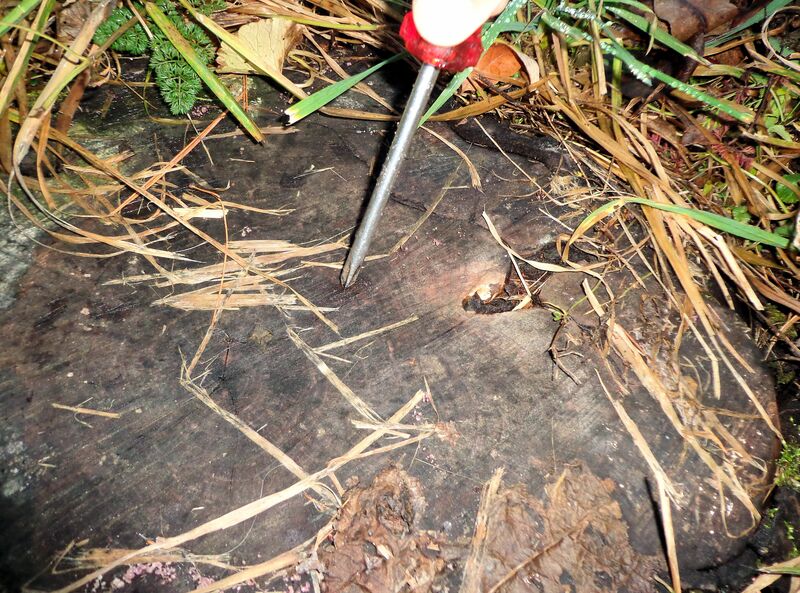 Much of the surface of the stump is soft. When I drilled the holes in the stump, they were made in solid, hard wood. The wood in the areas surrounding the holes is now soft and punky. I can push the screwdriver at least 1/2″ into the surface near the holes. Around the outside edge of the stump the wood is still mostly solid. 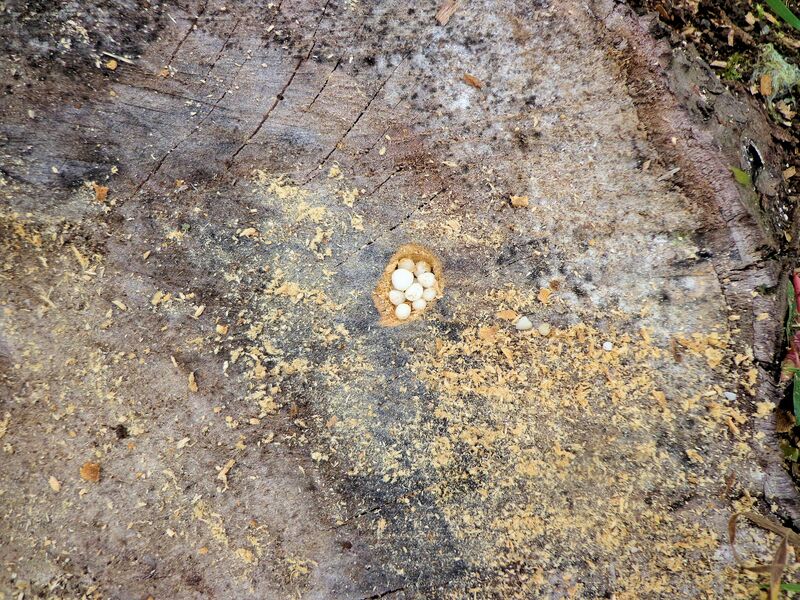 The hard wood extends about 2″-3″ into the stump before punky wood starts. It seems to me that there is a definite difference between the subject and the control. The subject stump is decomposing more quickly. 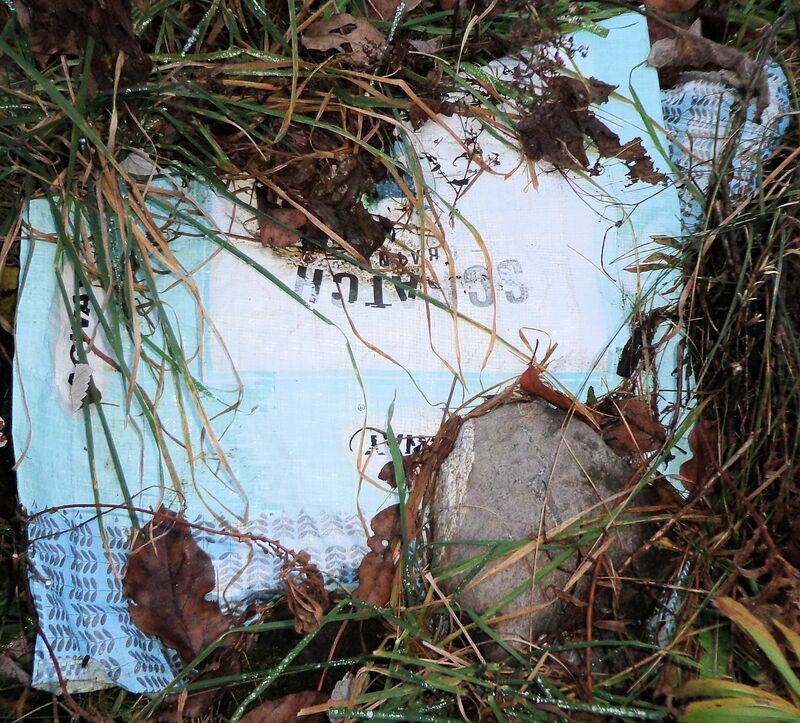 There is no way to be certain that the accelerated rotting is due to the added nitrogen, the plastic covering, or both. I should have used a third stump that had nitrogen in drilled holes, but no covering to be more certain of the results. 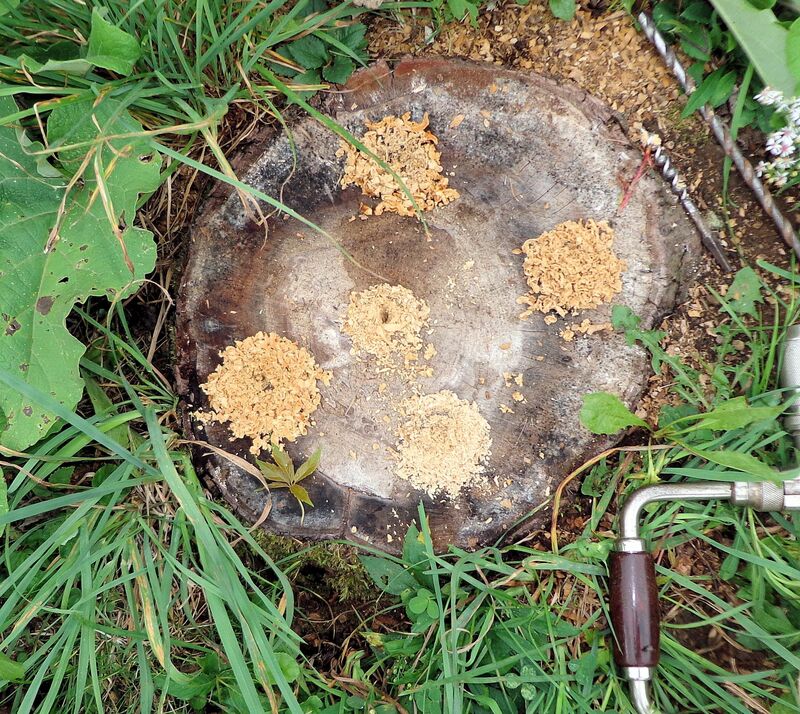 The fact that the wood around the drill holes on the subject stump is all soft now could indicate that the added nitrogen does speed the decomposition process. The results of the experiment are enough to convince me to treat all the remaining cherry stumps to a dose of nitrogen and a plastic grain bag. It certainly couldn’t hurt! Early this summer we cut three sour cherry trees in the orchard that were mostly dead. 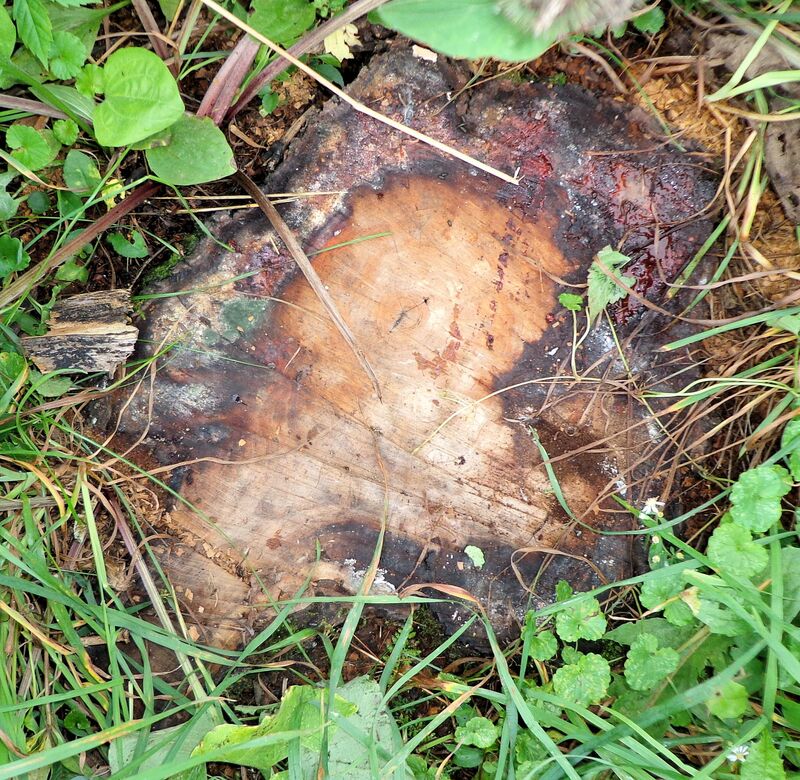 There is a fungus in our area that affects cherry trees, causing them to open wounds and ooze reddish sap in big blobs that harden on the bark like tree carbuncles. The stump at right has some of the gummy sap at the top. These trees succumbed to the fungus, in addition to not tolerating being heavily pruned. My husband sawed the stumps as low to the ground as he could. Several inches of solid wood still project above the surface, enough obstacle to catch the rotary mower when I’m working in the orchards. Stumps are difficult to remove. People burn them out, dig them up or hire expensive stump grinders to get rid of them. I’ve been researching methods to naturally remove stumps without starting a fire, spending big bucks, or wearing myself out digging. 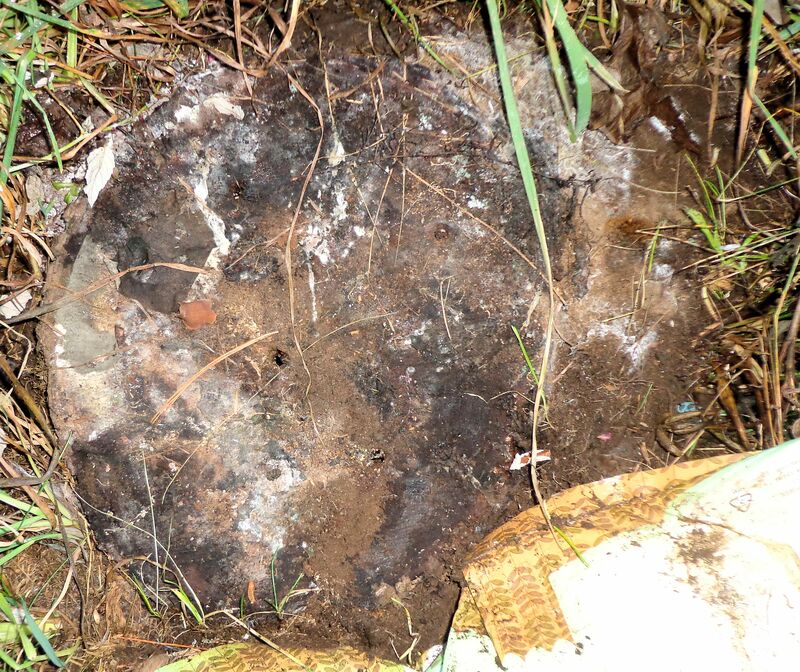 An alternative method involves introducing chemicals into the stump that speed decomposition. Commercially available stump removers containing potassium nitrate work to accelerate rotting of the wood, but I want to use something more natural. 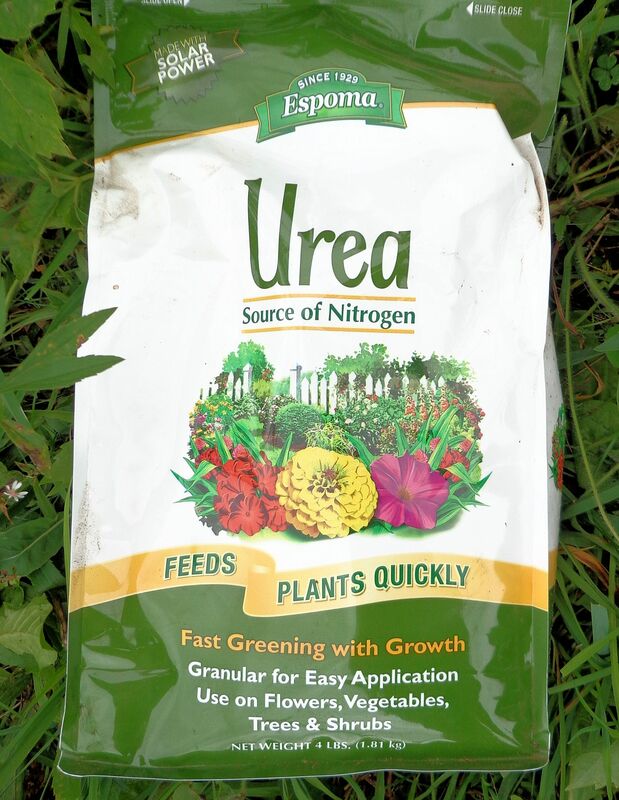 I stumbled across information about using urea, a concentrated nitrogen fertilizer. 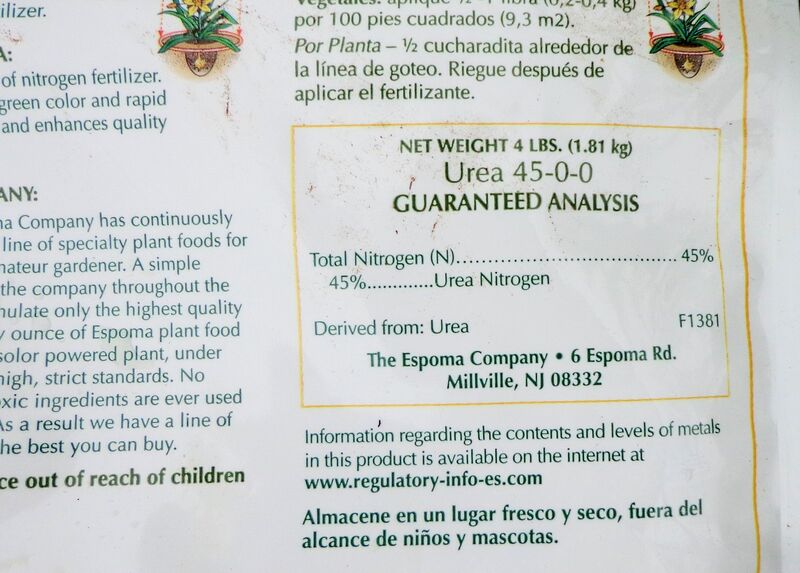 The fertilizer is in pelleted form and has an analysis of 45-0-0, all nitrogen. 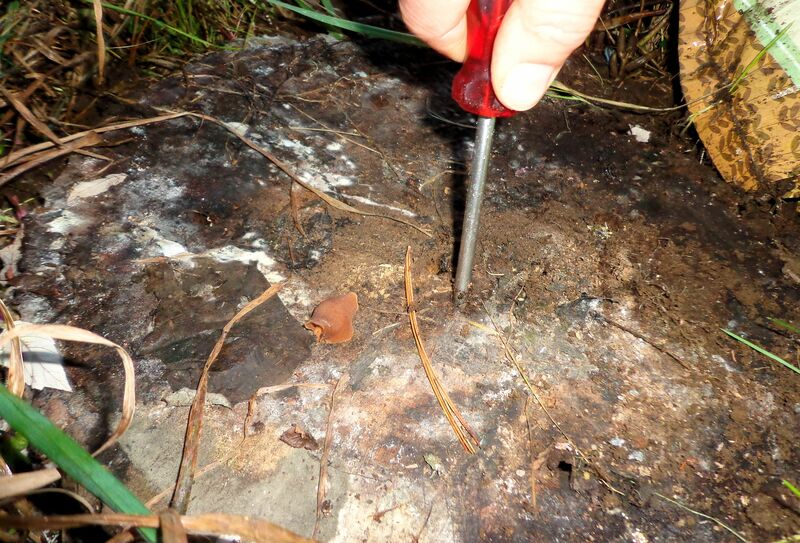 The process is to drill holes in the stump, as deep as possible. Then the holes are filled with the fertilizer and watered well. 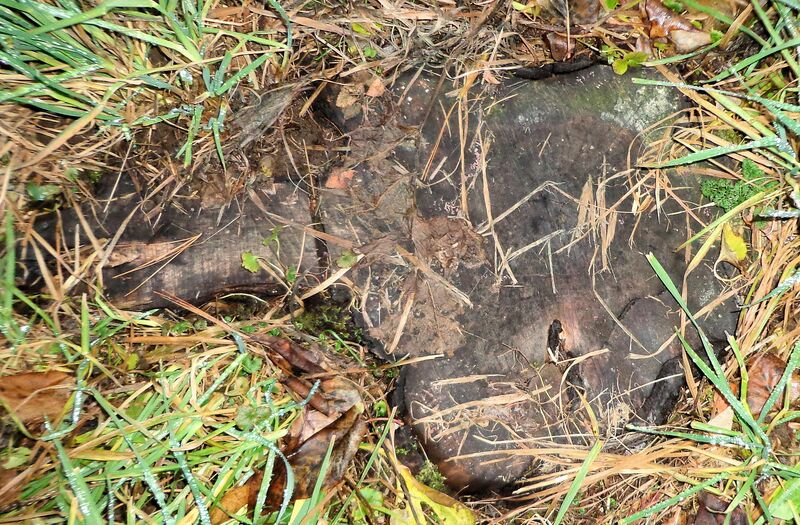 The stump is covered to keep it moist and allow the microbes to flourish. The stump I chose as an experiment is dead, but not very rotted. The wood is hard with just some central dry punky area. Using my hand held antique bit and brace I drilled five holes about 1/2″ wide and 6″ deep. I suspect the more numerous and larger the holes, the better this works, but I’m just experimenting to see if urea causes wood to rot more rapidly.